Get your quote directly from Jack, who has 44 years of Automotive experience. Fight the summer heat or battle those fogging windows. 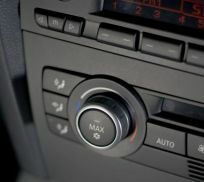 No need to drag on the irritating failing cooling of your cars air con, we can regas and service your air con on the same day as we know how important it is to get you back on the road. Need a new air con compressor for you vehicle? We also stock a wide range of car air con compressors for all vehicle makes and models. Whether you need a regas or full repair, we can help repair, replace and sell / wholesale. "Recently had my car serviced there and had my ac system re-gased, they did a fantastic job. Friendly staff and efficient/ quality job. Will be sending all family cars there from now on."